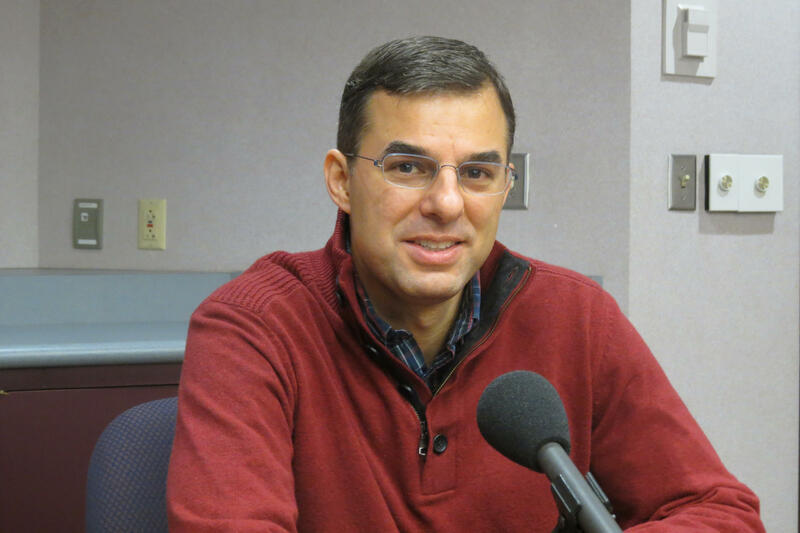 Republican Congressman Justin Amash says if he wins another term in the House, he wants to keep defending people’s rights, serve as a check on the executive branch, and improve the process in the House. Amash is seeking his fifth term in the House. He represents all of Calhoun, Barry and Ionia Counties as well as most of Kent and part of Montcalm County. 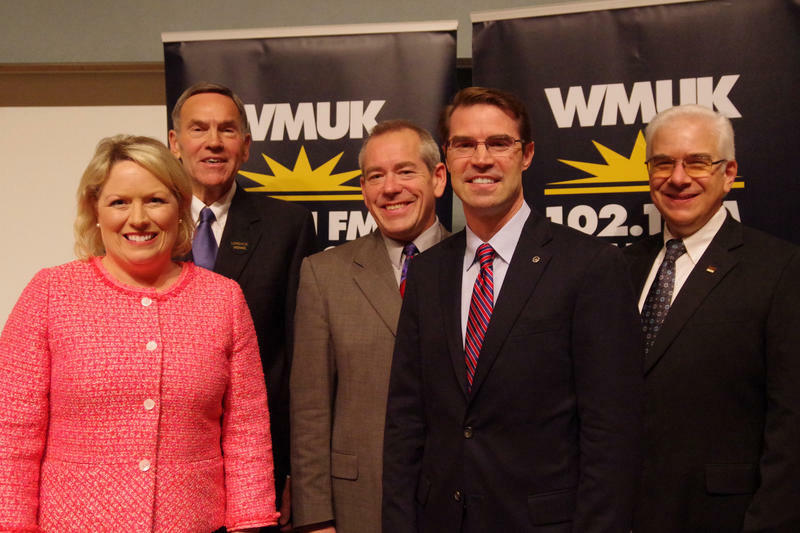 He sat down with WMUK’s Gordon Evans at Western Michigan University’s Kendall Center in Battle Creek. Amash says the House process is very closed right now. He says that members are not allowed to go to the House floor to offer amendments, but have to go through the House rules committee. Amash says that applies to amendments offered by members of both parties, but he’s not convinced that Democrats will offer a better alternative if they win control of the House. After journalist Jamal Khashoggi disappeared, Amash and other representatives proposed legislation to end arms sales to Saudi Arabia. It was later confirmed that Khashoggi was killed. Amash says the killing of Khashoggi is the latest in a long line of human rights abuses by Saudi Arabia. Amash says he’s not calling for sanctions of military action against Saudi Arabia. The U.N. International Panel on Climate Change recently issued a report warning of dire consequences if action is not taken soon. Amash says the U.S. should engage with other nations on climate change. He says improving economic standards around the world would help. Amash says people are more willing to dedicate resources to a cleaner environment if their own economy is strong. Amash says the tax cut bill signed into law last year included a reduction for everyone. Responding to criticism that it mostly helps the wealthy, he says “when some people pay a lot of taxes…they’re going to get more dollars back.” Amash says the U.S. can cut taxes and still reduce the deficit. He says that requires cutting spending. Asked for areas he would cut, Amash says the U.S. is spending way more on military spending than the rest of the world. He says a lot of that money goes to civilian contractors. The Fort Custer Training Center near Battle Creek is one of four sites being considered for a missile defense system. Amash says he will support the system if the Defense Department thinks it’s a good idea. But he says the decision should not be based on bringing jobs to the area, but rather the best location for defense purposes. Amash says Congress also has to ensure that programs like Social Security, Medicare and Medicaid work into the future. Discussion of other issues can heard in the web version of the interview. Amash says President Trump is doing the wrong thing on tariffs. He says the North American Free Trade Agreement is outdated, and improvements can be made, but he says the new deal also has things that are worse for Americans. Amash says the overall goal of trade agreements should be to reduce barriers. Amash says the health care system that most people will find desirable would have a large market based component with a “backstop” for low income people and people with pre-existing conditions. Amash says in those cases benefits should be provided directly from the government to people. Another ballot proposal this November would legalize recreational marijuana in Michigan, but pot would remain a schedule 1 drug under federal law. Amash says legalizing marijuana should be a state decision. He says the federal Constitution doesn’t have anything to do with drugs or drug laws. PFASes have been found in high levels in both Calhoun and Kent Counties. Amash says it’s important that the federal government is involved in finding a solution because it contributed to the problem, especially at military bases and airports. 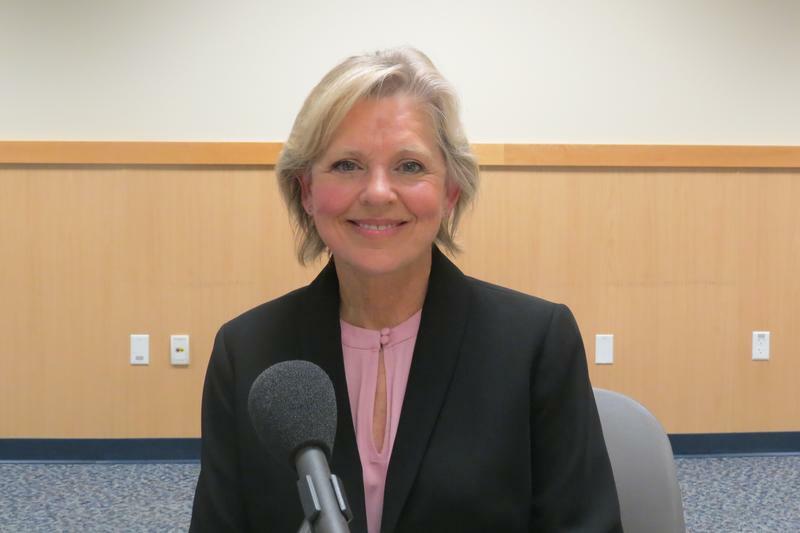 WSW: Congressional Candidate Cathy Albro Has A Long "To-Do List"
Cathy Albro says there’s a long list of things she wants to do if elected to Congress. The Democrat is seeking the 3rd District Congressional seat currently held by Republican Justin Amash. Albro hopes her party can take control of the House in the November elections. The race in the 20th State Senate District that covers Kalamazoo County is a rematch. Republican incumbent Maragret O'Brien of Portage again faces Democrat Sean McCann of Kalamazoo and Libertarian Lorence Wenke of Gull Lake. O'Brien emerged as the winner of the 2014 election by only 60 votes. Democrats hope it will go their way this time.